The public transport industry is transforming. The Land Transport Industry Transformation Map (ITM), launched in February, spells out initiatives that leverage emerging technologies to increase productivity, achieve smarter mobility and provide better service for commuters. The vision is to bring about an innovative land transport industry enabled by technology and a highly competent workforce. In the first of this three-part series, we look at how transport planning, an active mobility ecosystem and autonomous vehicle technology will help redefine urban mobility and make transport more efficient and productive. 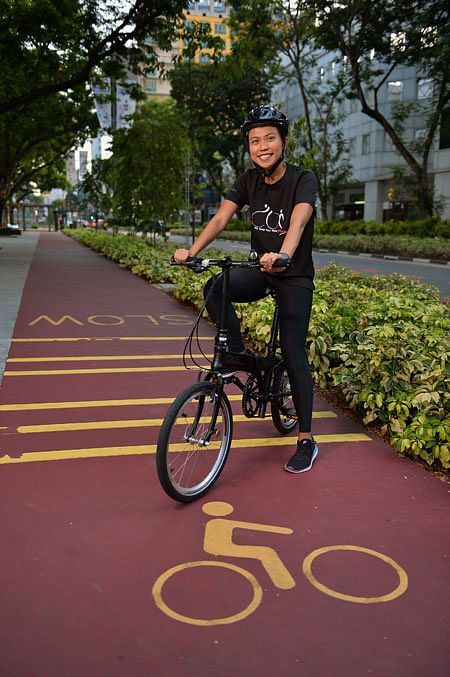 Ms Erica Sue Lim, assistant manager of Land Transport Authority’s (LTA) Active Mobility Unit, is working to make Singapore a greener and healthier “car-lite” city where cycling or walking are viable modes of transport. The 27-year-old is involved in policy planning and improving the infrastructure in Clementi, Jurong East and Jurong West to make the towns more “walkable” and bicycle-friendly. For instance, she is able to identify key pedestrian and cycling areas by studying data on frequently used bus routes, number of residential units and types of land use. She then plans cycling paths using the Geographic Information System (GIS) software that shows the location of roads, current and future developments, park connectors, sheltered linkways, transport nodes and crossing facilities. Currently, Ms Lim is working to improve the pedestrian environment near key amenities in residential towns and MRT stations. She applies the design thinking principle of putting the user first and considers the safety and comfort of everyone, from children to the elderly. She also goes on site visits with engineers and liaises with internal LTA divisions, private developers and relevant agencies to ensure that new developments and infrastructure factor in walking and cycling paths, and facilities. Ms Lim, who has worked in LTA for two years is excited about the transformation of the land transport industry. Ms Lim says that the challenges for her team are two-fold: to build infrastructure quickly while encouraging safe, responsible and gracious behaviour when riding or walking on footpaths and roads. The global transport agenda is to move to a more pedestrian-centric transport system. To understand how other cities promote active mobility, Ms Lim travelled overseas. The International Walking Data Standard is developed over several years based on travel surveys and data on mobility patterns and the Global Street Design Guide was created with the input of global experts to help urban transport planners design streets that prioritises pedestrians, cyclists and riders. Apart from overseas conferences, Ms Lim also will get opportunities to rotate to other divisions within the organisation after two years of work. Although the projects under her will take five to 10 years to come to fruition, she draws motivation from earlier successful projects, such as Bencoolen Street, where a redesign saw wider footpaths and dedicated cycling paths, and Ang Mo Kio, Singapore’s first “walking and cycling” town. “I’m excited to see how the work I do will change the physical landscape of Singapore,” says Ms Lim. Mr Jonathan Lee wants to take drivers out of cars. This may not necessarily be in the way that one might expect. 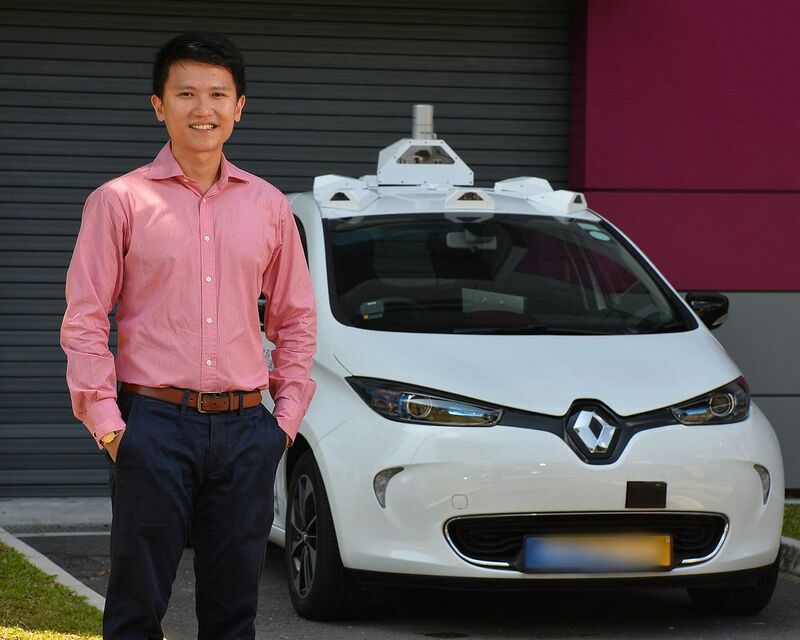 Rather, as an assistant manager in the Technology Integration (Autonomous Vehicles) division at the Land Transport Authority (LTA), Mr Lee manages autonomous vehicle (AV) developers, crafts regulations for the deployment of AVs in Singapore roads, and works towards the deployment of AVs as a form of public transport. Having transferred to the Autonomous Vehicles division six months ago, it took him awhile to adapt to the job. In his first two years with the LTA, he worked in project management for the Rolling Stock division, where he tested and commissioned rail systems for the Circle and North-East Lines. Since this is a pilot deployment, Mr Lee and his team are working to gain insights into how they can design infrastructure, manage the technology providers and formulate regulations to better facilitate the safe deployment of AVs in Singapore. He says: “AVs can help to improve first- and last-mile connectivity between commuters’ doorsteps and major transport nodes like MRT stations. While his primary purview is the development of domestic transport, he spends a significant amount of time overseas. For instance, the job has taken him to Shanghai, China, for a two-month stint to test and commission trains, as well as to Montreal in Canada for a conference on intelligent transportation systems. Most recently, he was in the United States’ Silicon Valley to visit some of the leading AV technology developers. “These overseas experiences are really eye-opening, as I get to learn about the state of technology overseas, and think about how we in Singapore can adapt to changes in the global landscape,” he says. The most challenging thing about working in the Autonomous Vehicles division is deploying a new technology on a scale that has never been done before elsewhere in the world. Apart from implementation, he also has to promote the public acceptance of the new technology. Data analytics is transforming Singapore’s MRT network, and Ms Wee Yun Han can attest to that. The executive transport planner in the Land Transport Authority (LTA)’s Strategic Planning Division leverages data to analyse trends and plan future rail lines. The 26-year-old also incorporates insights from people on the ground and best practices from overseas when devising ways to improve Singapore’s transportation system. “I use transport models to predict future travel demand and understand possible demand changes when an initiative is introduced. Data also helps us identify emerging trends, areas for improvement and possible initiatives,” she says. Using data, Ms Wee evaluates various components of a journey — time taken to walk to a bus stop or train station, how many transfers are required and how long the whole journey takes. Currently, she is involved in planning the Cross Island Line (CRL) and other future rail lines. She is also honing her skills in data analysis and visualisation to improve travel experience for commuters. This allows her to identify areas for improvement and craft targeted initiatives to address specific issues. Her work also involves attending meetings with engineers, architects and stakeholders from government agencies to plan railway lines and stations. She also collects feedback from local residents on their transport needs. This input from the grassroots allows her and her team to serve the community more effectively. Working in LTA offers many opportunities for growth. For instance, Ms Wee will take a three-day course later this year to further enhance her proficiency in data extraction and analytics. Last year, she attended a conference in Sweden and visited transport agencies in Finland to learn about cutting-edge transportation concepts and best practices. One example is Mobility-as-a-Service (MaaS), a concept in which commuters can access different transport offerings such as taxis, trains, buses and shared bikes as part of a single integrated ecosystem. This enables people to more easily reach less accessible areas that are not directly connected to the MRT network. Ultimately, Ms Wee’s motivation springs from the tangible impact that her work has on millions of people. “There’s definitely a sense of fulfilment when we see our efforts come to fruition and know that fellow Singaporeans are benefiting from our work,” she says.